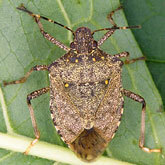 Share the post "Rutgers Leads Multi-Million USDA Grant to Fight Stink Bugs"
The brown marmorated stink bug is a highly invasive pest that has caused significant agricultural losses in the Mid-Atlantic states and is spreading to Southern and Mid-Western states as well, since its discovery in the U.S. in the mid-1990s. Native to Japan, China, and Korea, this pest has caused significant damage in its adopted homeland in a diverse range of crops such as tomatoes, peaches, apples, pears and soybeans. It’s been known to feed and reproduce on several other crops, including wheat, eggplant and melons, adding to the list of agricultural commodities potentially affected by this pest. The stink bug is highly mobile and feeds on diverse crops, which makes it especially challenging for organic farmers, requiring whole-farm management to implement effective organic controls. To this end, Anne Nielsen, assistant extension specialist in the Department of Entomology at Rutgers, has been awarded $2,672,327 by USDA National Institute of Food and Agriculture to support a multi-regional and transdisciplinary effort to develop and disseminate whole-farm organic management of this pest. Nielsen, who received her doctoral degree from Rutgers in 2008 and returned to the university as an assistant extension specialist last year, will help growers select and plan trap crops, enhance natural enemies and implement cultural control. In addition, her study will examine cues and capacity for dispersal as well as identify the movement patterns of the stink bug. Joining Rutgers in this collaborative research are 22 researchers from various institutions, two organic organizations in the U.S. and at least six organic farmers. 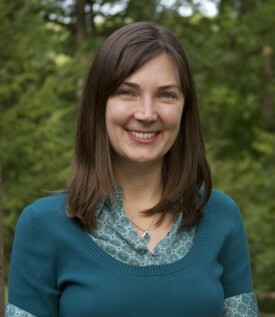 Collaborators include eOrganic; Michigan State University; North Carolina State University; Ohio State University; Redbud Farm; Rodale Institute; University of Florida; University of Kentucky; University of Maryland; USDA-ARS; Virginia Tech; West Virginia University Research Corporation and University of Tennessee. Research on this whole-farm organic management project actually began in the fall of 2012 and will conclude in the fall of 2015. The results of the stink bug control-strategy research will be tested by participating farmers as part of the process of developing outreach materials. 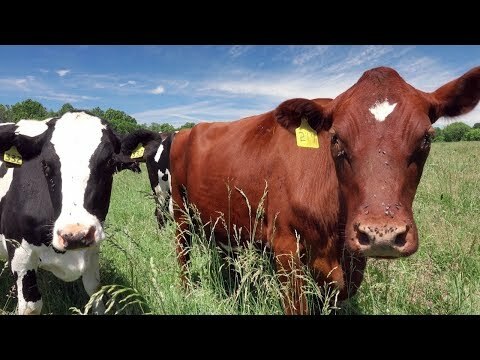 Organic growers, in particular, will be supported with educational opportunities to initiate whole-farm habitat manipulation strategies identified by this project. Plans are to disseminate this information via webinars, social media, on-site demonstrations and field days. Educational materials will be distributed via eOrganic and traditional extension channels. The New Jersey Agricultural Experiment Station is the research and outreach arm of Rutgers, The State University of New Jersey. Rutgers Cooperative Extension agents and specialists deliver wide-ranging educational programs across New Jersey. For more information about Nielsen’s research and the work of the NJAES, visit njaes.rutgers.edu.